Dubai, UAE, January 14, 2017: Award winning Indian Restaurant, Gazebo has opened five new outlets recently in Khalidiyah Mall Abu Dhabi, Al Twar and Business Bay, Al Shamkha Abu Dhabi and in Ajman. According to Irfan Gaya, Managing Director of Gazebo, the restaurant was initially set up to fill the gap in the market for an authentic Dum Pukht restaurant and today the restaurant has achieved that and won awards for bringing to the table traditional recipes from the royal kitchens of Lucknow, Awadh and the North Western Frontier, which were ruled by the Dum Pukht cuisine. The Biryani at Gazebo is legendary. 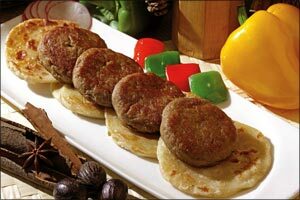 It sits in the menu as the uncrowned king of the Dum Pukht family. Along with it are the famed grills of Gazebo. Patrons also recommend Raan-E-Sikandari, Jhinga Zaitooni, Murgh Zafrani Biryani, Dhingri Mutter Paneer and many more. The Gazebo network of restaurants are positioned at strategic locations and are hence able to deliver fresh and steaming hot food to the doorstep, delivered in high-grade microwavable containers. They also provide full catering services for corporate events and parties across the Emirates. Gazebo, also offers gift vouchers that make excellent wedding gifts, birthday presents allowing recipients to savour a 200 year old culinary adventure in the comfort of 16 outlets across Dubai, Sharjah, Ajman and Abu Dhabi.